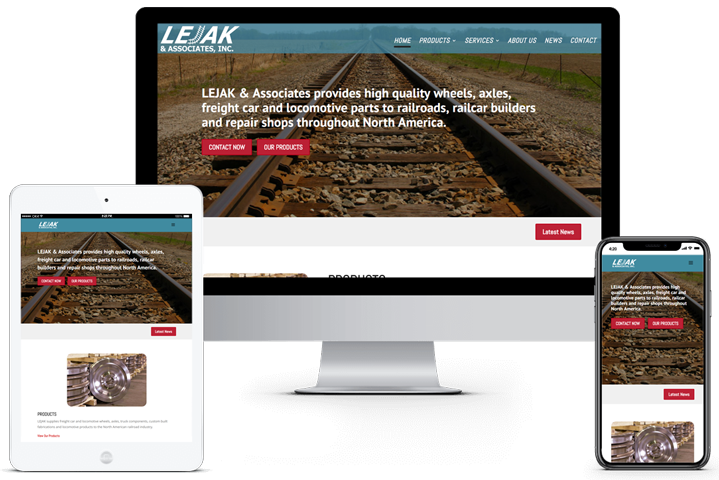 LEJAK & Associates provides high quality wheels, axles, freight car and locomotive parts to railroads, railcar builders and repair shops throughout North America. They also offer railcar and locomotive dismantling services throughout the Midwest. With such a specialized market niche, LEJAK & Associates trusted Clicks Web Design to create a simple and professional website that would outline their offerings and get straight to the point. With a simple layout including pages for Products, Services, and a News page in order to offer up-to-date content for their customers, Clicks Web Design was able to provide a quick and creative solution for this customer.